Nigerians have reacted as the photos of pop sensation, Wizkid go up for sale online as as much as N130k. 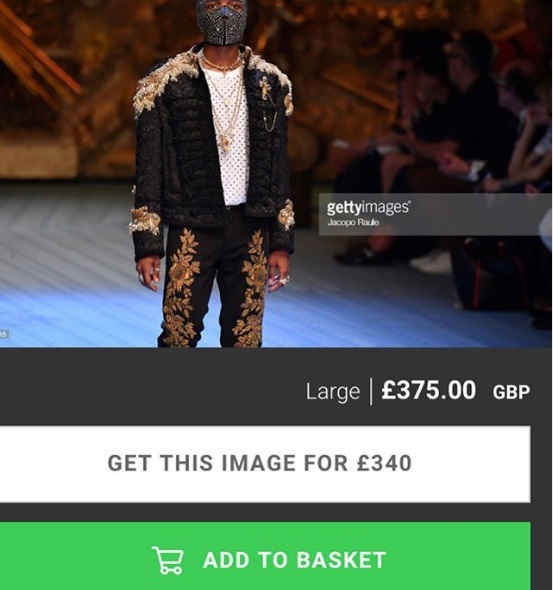 One of the hottest artistes on the African continent, Wizkid on Tuesday stirred reactions online after a picture of him on Dolce and Gabbana runway was being sold online. 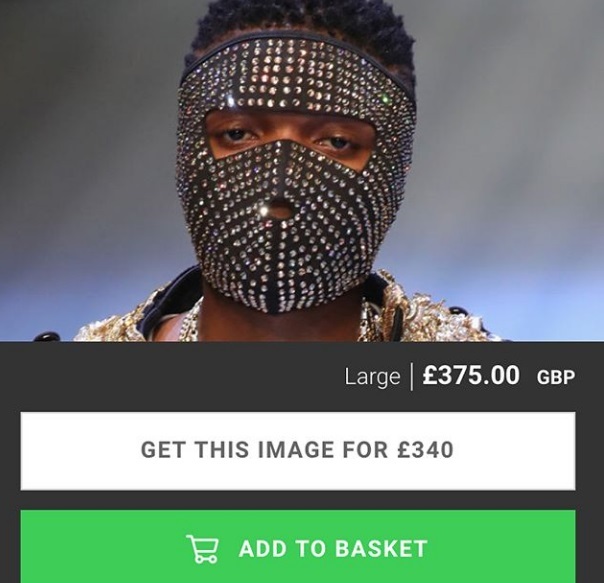 The pictures shared by Wizkid on his social media page was on Monday seen online being sold at ridiculous prices of between 375-500£. (averaging around N135k).